The body's digestion, absorption and elimination processes are so important for optimal health. We can help keep this system running smoothly by being cognizant of what we eat and what we expose our bodies to. If one of these processes is stressed, we may offer support by taking a gentle detox formula. Flora offers a natural supplement called Flor-Essence that seeks to support the body's natural elimination process. 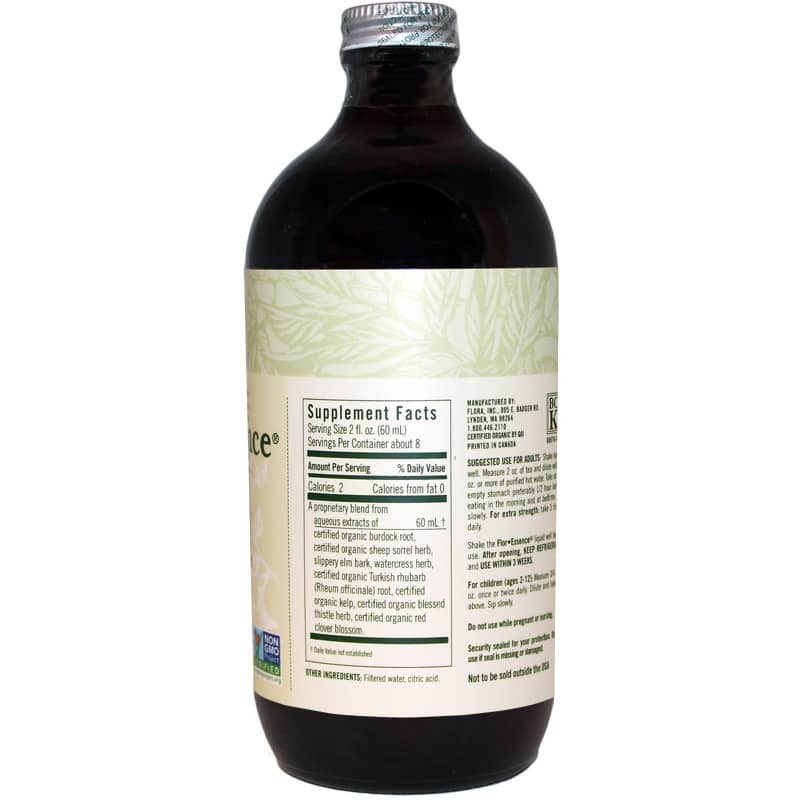 This supplement contains a proprietary blend of eight synergistic herbs that are known to support healthy digestion and detoxification, including certified organic burdock root, kelp, blessed thistle, sheep sorrel and red clover blossom. It best to keep this product refrigerated and to use within three weeks of opening. 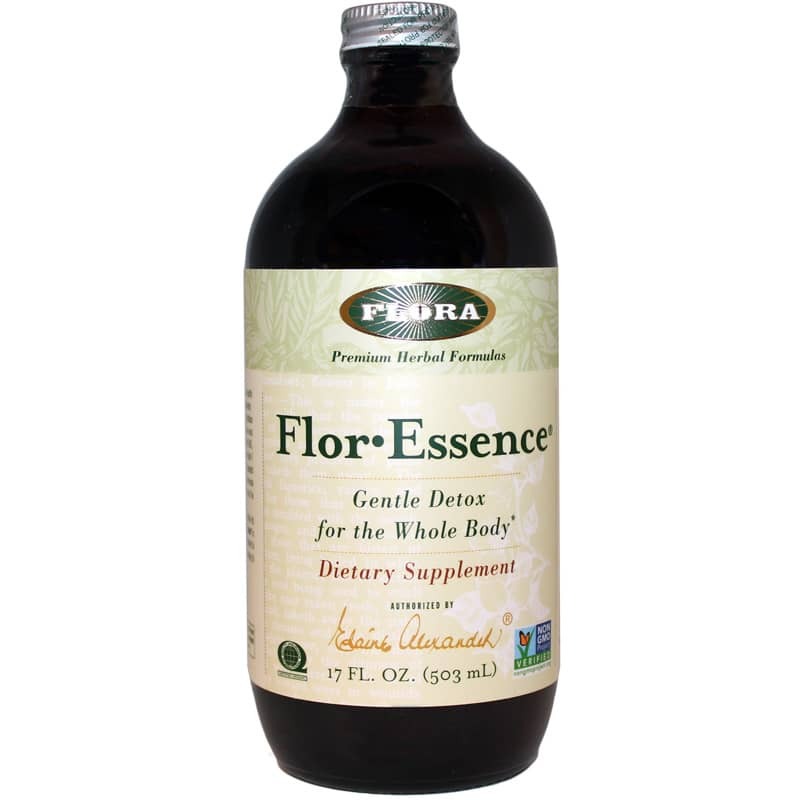 If you're looking for a natural supplement that supports the body's elimination and detoxification processes, consider Flora's Flor-Essence. Order online today! Shake bottle well. After opening, keep refrigerated and use within 3 weeks. Adults: measure 2 fl. oz. (60ml) of prepared tea and dilute with 2 oz. or more of purified water twice daily. Take on an empty stomach approximately 1/2 hour before breakfast and 1/2 hour before bedtime. Sip slowly. Do not use: If pregnant or nursing; if you are allergic to plants of the asteraceae, compositae, daisy, polygonaceae, or brassicacease families; if you are allergic to iodine; if you have had an organ transplant (stemcell transplants are okay). Not recommended for children. Keep out of the reach of children. Taking about 6 weeks and it is wonderful as far as I can tell, I feel good. I am using it as preventative cancer treatment. Naturally and 'By His stripes I am healed." Love everything I have purchased from Natural Healthy.